FIRECLOUD | Doc #9846 | Can I register for FireCloud with my current (non-Gmail) email address? Yes, absolutely! 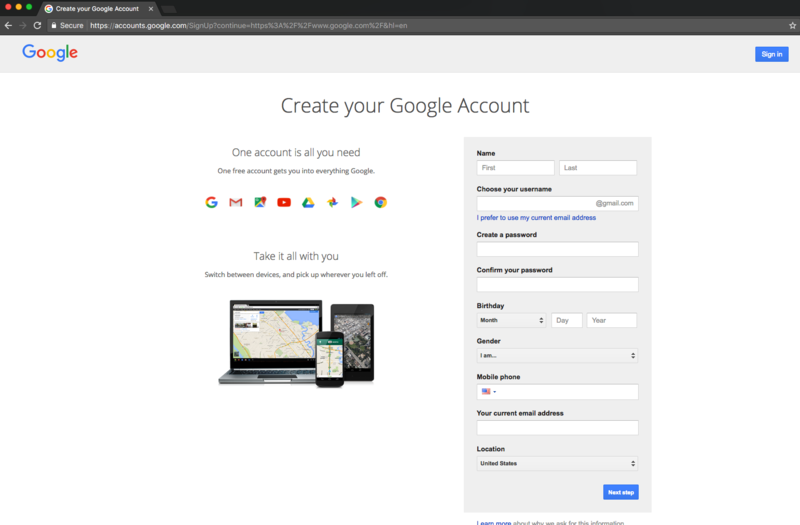 Although you do need a Google account (for billing purposes), you can create one with any email address. It doesn't have to be Gmail. Just go to the Google sign-up page; under "Choose your username", click "I prefer to use my current email address". Once you have this new google account set up, you'll be able to register for FireCloud with that email address. Under "Choose your username", click "I prefer to use my current email address". You'll see the field change slightly to allow you to use an existing email address instead of creating a Gmail address.